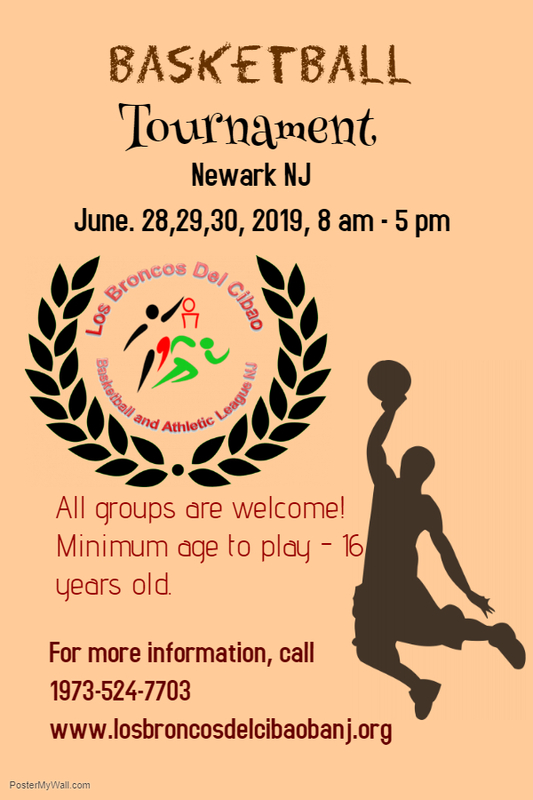 Los Broncos del Cibao Basketball and Athletic League is a nonprofit institution created to promote and support sports in the communities and help children, youth and adults of the communities to join the different sports programs. Our Mission is to create an institution that will help to strengthen the residents of the communities of the State of New Jersey with the creations of programs and tournaments in different categories such as basketball, volleyball, karate, Judo, bicycle race, race competition of 100, 200, 400 meters, marches 5 miles and among others. Para hacer tus donaciones comprando una camiseta, una gorra y otras alternativa presiona el link "Donate"
La Gran Caminata de 5 Millas. En Vivo desde el estudio 24/7. Presiona el boton para escuchar.